Looking forward for the result of your photo shoot! Wow, that's a huge camera :-). I'm waiting for seeing! It looks amazing! I wonder what would you have done with that beautiful yellow dress <33 post asap! 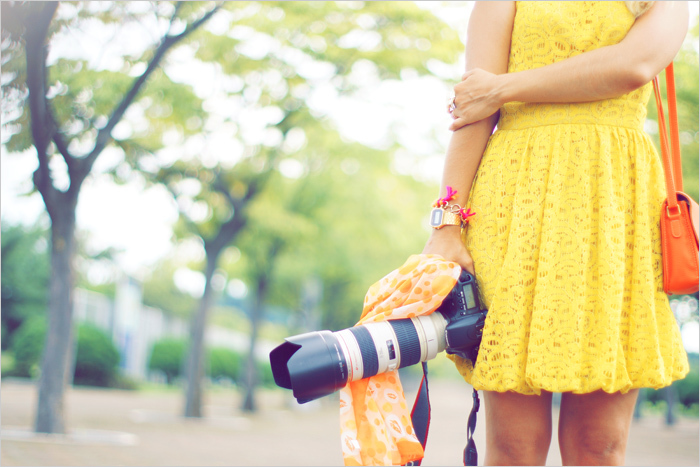 I can relate:) That dress is gorgeous and that LENS, is something to dream about! wow, that's quite a cam. do you have a 5DII? what a huge camera ! Gorgeous dress! Looking forward to seeing the pictures from your shoot! Gorgeous, bright, happy dress! Excited to see what it is a preview for! cant wait to see the rest of the photos! LOVE the yellow lace! Can't wait to see the entire outfit! Beautiful dress and amazing zoom!! !